Fishers Computer Repair | Quick Service Today | We Come To You! Tech Heads is Fishers first choice for over ten years. Thank you for your support! Fishers computer repair experts, Tech Heads is Fishers Indiana’s premiere computer repair solution offering a wide range of IT solutions for home and business. Whether you would like us to set up your new PC or Apple computer or install an advanced business networking system, Tech Heads is qualified for the job. Below is a list of the most common services offered by Tech Heads. Contact us today at 317-809-8912. Every Fishers computer repair job includes free pickup and delivery to your home or business. We also offer free pickup and delivery in Fishers and all surrounding areas along with free remote assistance for 30 days on any Tech Heads service. 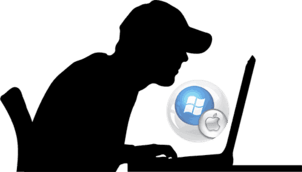 AnyApp allows Mac end-users to use software and apps created for Windows on the Macintosh without the need for a Windows operating system like Windows 10. This enables small businesses to run legacy software that their business depends on everyday. AnyApp allows PC applications to run on macOS without a virtual machine. to any PC or Mac software or game on one computer. This is the simplest and most efficient way to run Windows apps on a Mac. on your Mac – including outdated software which is no longer supported by Windows. Subscribe to Tech Heads and receive 50% off your first service! Contact us within 7 days after subscribing to schedule your service.